Kala Ghoda is considered as art district in Mumbai as it is equipped with best art galleries and museums. This place is famous as the Kala Ghoda festival where every year the art festival is conducted. But for food lovers, it is one such place where a number of restaurants and cafes are being situated that can help to enjoy some of the best food. Reading rooms and cafes make the best combination which can really change the atmosphere. Which are the best café in Kala Ghoda? Nutcracker is one of the best cafés in Kala Ghoda which has eye seeking artwork and this makes this small premises best in every manner. The interior is designed with unfinished furniture which really makes the place different from other places. It even has card board mirrors and flooring is deco-tiles which is very uncommon but Nutcracker has changed assumption of people. One can enjoy healthy and nutritious breakfast which gives homely taste. This place is even preferred to hang out with friends and enjoy some health-conscious dishes. 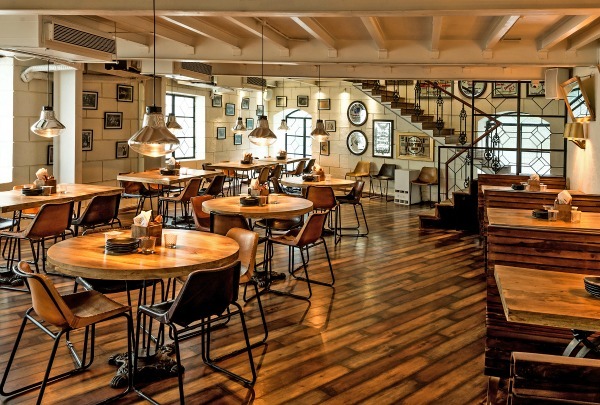 Bakehouse café is one such other café in Kala Ghoda which is an old-fashioned but best café in Mumbai. The artwork of the café makes it different and one can have positive vibes through such pleasing indoor. There is a long list of dishes which are been prepared by best chefs and it compromises of pizzas, burger and even sandwiches. Even these dishes are being made considering health and nutrition value which make sit best place for fitness freak crowd. Mouth-watering dishes along with comfortable seating and sumptuous dishes makes it the first choice for every Mumbaikar. Dishes which are been served here are budget-friendly and everyone can afford it and so many people select this place. Where to have dinner in Kala Ghoda? Khyber restaurant is one of the best restaurants in Kala Ghoda where even international celebrities would like to have dined with friends and family. It is spread in quite a large space and has two floors which have a spacious kitchen along with 3 different dinner areas. The interiors of restaurants are quite pleasing and beautiful as it consists of brick walls along with oil lanterns which try to give Afghan vibe. The aim of Khyber is to preserve Indian heritage and so traditional cooking techniques are used to get the authentic taste. Both north Indian dishes and Mughlai dishes are very popular at this restaurant which gives finger licking taste. Option are even available to select dishes on basis of its methods like cooked under tawa, tandoor and curry. Khyber raan is very popular and preferred by almost everyone who visits this restaurant as it is been prepared in the pot with special sauce to give it the best taste. So, if you are in Kala Ghoda don’t miss the chance to visit such cafes and restaurants to get some special moments of life with family and friends.